UPDATE: Despite initial blowback to her tweet, Danni Messina presented a check to St. Jude for $190,000 on Wednesday. The total donation came from her GoFundMe campaign, a Kmart donation matching initiative in her name, and personal donations from Messina and her friends and family, a rep for the fundraising organization for St. Jude confirmed to BuzzFeed News. Messina was also able to meet a fellow college student and St. Jude patient, Madison, in person at the check presentation. The two connected over Twitter shortly after her story went viral. "She's an inspiring young women," Jennifer Godwin, the public relations liaison for ALSAC, said of Messina and her efforts. "It's really impressive." Messina is a 19-year-old Washington State University student originally from Seattle. Over the weekend, Messina had an idea to give back in a big way via social media after she learned her friend had to spend Thanksgiving at his local St. Jude Children's Research Hospital with his grandmother. She told BuzzFeed News it was then that she realized many family members — especially children — were forced to spend the holidays in their hospital beds. "It hit me that a lot of kids have the reality of having to be in the hospital with their families," Messina said. "I feel so fortunate that I have everything I need. There are so many other families that need so much more. "I wanted to give back this holiday season." "Why not post on Twitter?" she thought. On Saturday, Messina devised a plan that she would donate 25 cents for every favorite, and 50 cents for every retweet, of her tweet to St. Jude. Her tweet, though, went hugely viral, with at least 165,000 retweets. That's, er, roughly $177,000 and then some as of Monday. Messina said she didn't expect to go viral, targeting the tweet at her friends and sorority sisters online. She had planned to donate about $1,000 of her own money, but her tweet "started to grow" quickly. Within a day, it had already amassed well over the $1,000 she had anticipated. In fact, on her plane ride back to school, she noticed the amassed amount was tens of thousands of dollars. She was "in shock," she said, and began to panic a bit. "When I got on the plane I was just in shock ... people were messaging me, and other people were saying, 'Oh my god, she's going to go broke.'" She said while she knew she couldn't afford tens of thousands of dollars to donate, but she wanted to commit to her "positive" intentions. Messina then started a GoFundMe account on Sunday to help raise $50,000. In the GoFundMe description she admitted that she does not "have the funds to support" her initial Twitter effort. 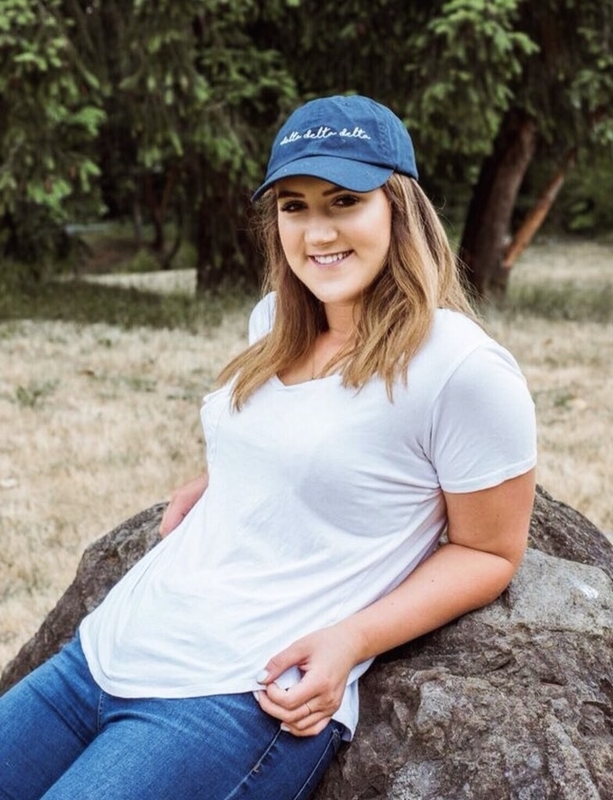 She linked to the GoFundMe page in her viral tweet in an effort to channel the momentum of the tweet into actual funds to St. Jude. People have donated $920 so far. But a positive public reaction quickly turned bitter when people realized she could not honor her commitment. And people did not hold back. People questioned her motives and accused her of being self-serving and seeking "clout." But Messina is pushing back. She said her intentions were entirely good. "I didn't do it for the Twitter fame," she said. "I did freak out a bit ... I tried to do something positive. I'm going to stick with it and give back what I can." People are also defending Messina online and pointing out that she is, in fact, now trying to do what she can to rectify the situation. Messina said many patients at St. Jude hospitals are messaging her to thank her privately and publicly for supporting the treatment and research facility. @danni_messina This means a lot to me. My little cousin is currently battling leukemia at st Jude’s down in Memphis. She said one patient named Emily told her it cost her family $33,000 for her to be flown to a hospital to seek treatment. And it wouldn't have been possible without the help of St. Jude. "I was too critical to survive a ambulance ride from New Orleans to Memphis. 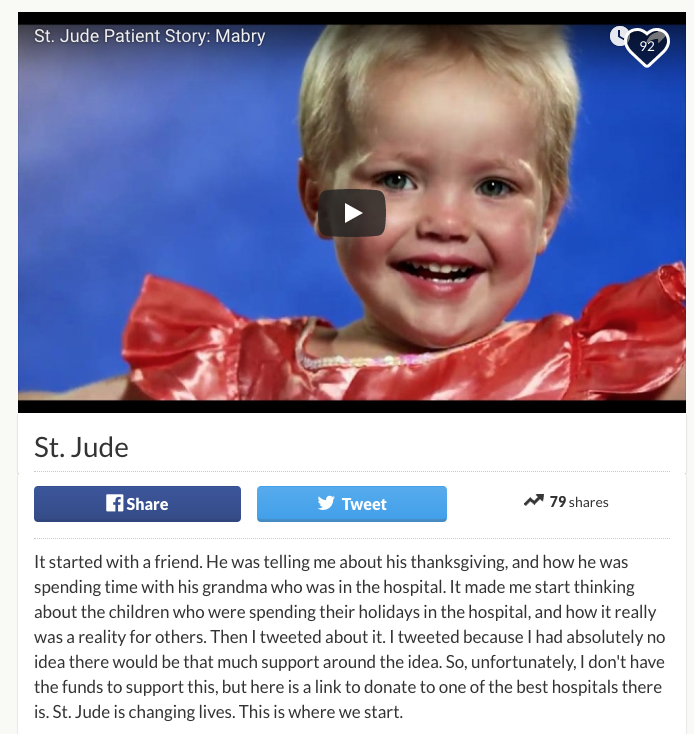 I spent the holiday season of 2016 at the hospital," Emily told BuzzFeed News, adding, "St. Jude Children's Research Hospital in Memphis, Tennessee prides itself on not charging families for treatment, travel, housing, or food as they believe all a family should worry about is saving their child's life." "It touched my heart," Messina said upon hearing Emily's story. "I know I'm personally doing it for the children of St. Jude's and the people involved." Messina said she's still pledging to donate $1,000 herself, and will update BuzzFeed News as soon as she can access the money in her savings. She now only has one message for supporters and haters: "Just keep donating. Keep donating." In a statement to BuzzFeed News, Richard Shadyac Jr., the president and CEO of American Lebanese Syrian Associated Charities (ALSAC), an organization that raises funds and awareness for St. Jude, thanked Messina for "remind[ing] us of the power and importance of helping others." "Danni’s intentions are pure – and while she has learned a lesson on how quickly a moment can become viral, she also reminds us of the power and importance of helping others and how contagious that spirit is in this season of giving thanks," Shadyac Jr. said. The cost of St. Jude patient Emily's medical flight was $33,000 alone. A previous version misstated that the bill was for her family.